Our bamboo tops are UV-cured and contain no VOCs or air pollutants. Clean and energy-efficient, our curing process is recognized by the EPA as a "Best Available Control Technology" under the Clean Air Act. The 56'' x 26'' top is available in rectangular only, and has a pre-cut center grommet hole. If you would like a black wire cover, a power grommet insert, or additional grommet holes, please make your selection in the Grommet Hole option below. The C-frame is our most popular option. It features curved recycled aluminum feet, with the legs offset towards the rear of the desk. 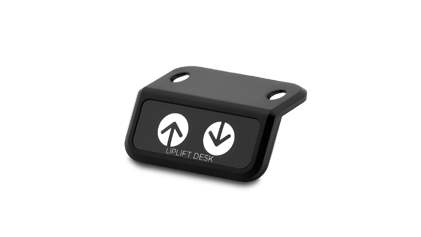 This positioning provides extra stability and 3.5” of additional space under the desktop for accessory installation. 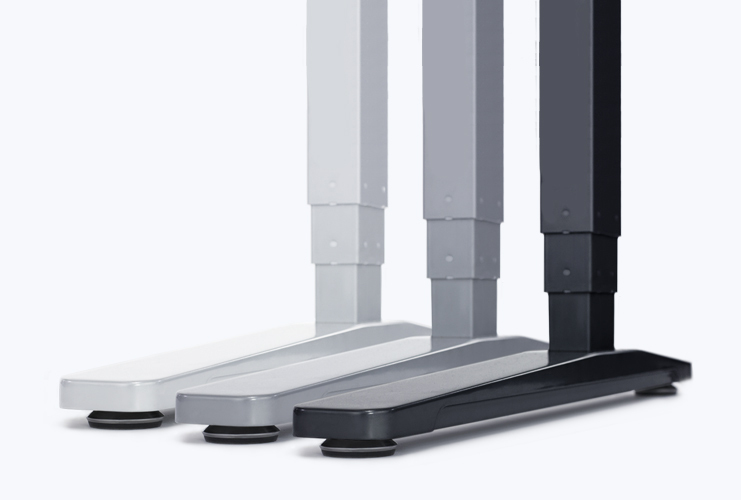 You can also upgrade to our four-leg frame for even more stability and lifting power. 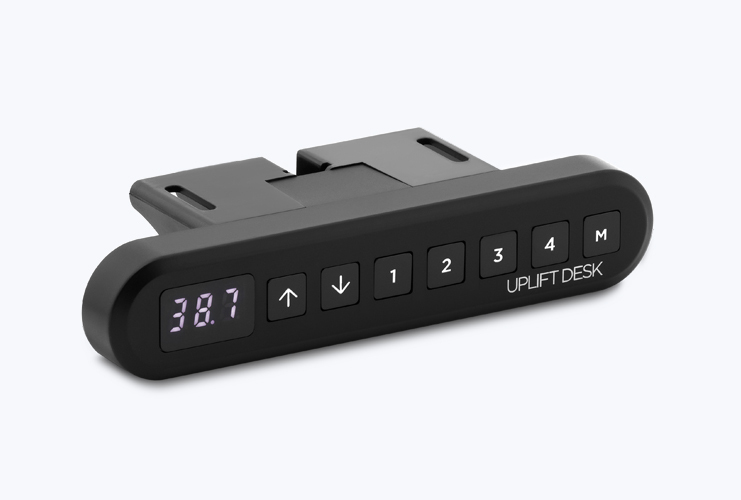 Desks come standard with a two-button up/down keypad. You can also upgrade to the advanced keypad with four memory positions and digital height display. The advanced keypad allows you to save your preferred height settings for quick and easy adjustment. To adjust to your programmed setting, simply press and hold the numbered button. For extra cable management, you can choose two grommet holes, or upgrade to power grommets for outlets built right into your desktop. White tops are currently available with or without grommet holes. Height range including desktop thickness 24.5" - 50.5"